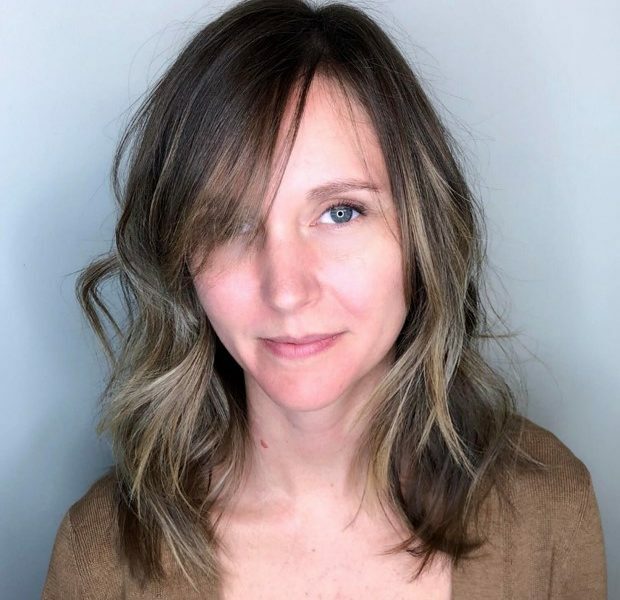 Today we’d like to introduce you to Chelsea Revelle. Chelsea, let’s start with your story. We’d love to hear how you got started and how the journey has been so far. Creating has always been central to my interests and curiosities. Especially when it comes to manipulating materials and the problem solving that takes place while trying to figure out new techniques. I received my Bachelors of Fine Arts from MassArt to begin a freelance career in illustration. 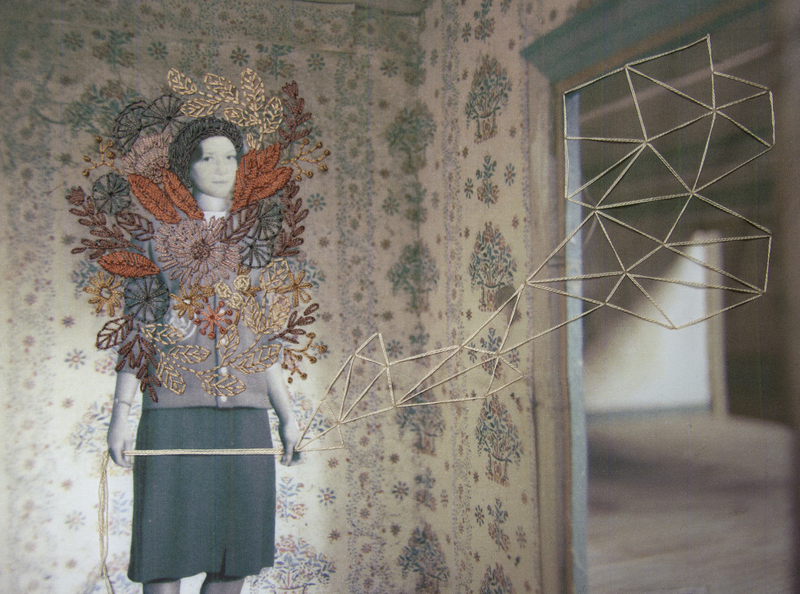 It was during my time as an undergraduate that I was an apprentice to local illustrators, Polly Becker and Richard Tuschman, who revealed the secrets to alternative illustrative techniques – assembling doll parts and objects, photoshopping images and inventing spaces. It was then that I realized I didn’t want to make art for other people, I wanted to do what I was compelled to do which was very freeing. I ended up working in nonprofits, received a Masters in Nonprofit Leadership and realized that I could use my problem solving and critical thinking skills to support arts programming and opportunities for others to explore their creativity. I’m able to balance a career as Manager of Studio Art Classes at the Museum of Fine Arts, continue to do small freelance projects, and spend the rest of my time in the studio pushing the boundaries of my fine art practice and exhibit as a core member of Fountain Street Gallery. Is it ever a smooth road? If it were, I wouldn’t find pleasure in the challenge and discovery that takes place trying to get somewhere. I think you need to be true to yourself. I pursued illustration because I thought that is how I could make money from making art. My first magazine cover illustration I did was torturous. It was for a local scientific publication and the language was so over my head. On one hand, editorial gigs can be very enlightening as you learn first-hand information that you may not have sought out otherwise; but mostly I wanted the flower in my illustration to be yellow and they were adamant it had to be pink. It broke me. I had to accept that freelance work was not my work. I found refuge in collecting discarded items and figuring out how to dismantle, assemble, attach, distress, mold, transfer, sew, print, and photograph unconventional materials into my vision. I thought art had to follow so many rules and it made me feel very stuck. Once I gave myself permission to do the opposite, I became so much more engaged because there was a challenge. My advice for others would be not to stop. Don’t be afraid to make mistakes, and more mistakes, then cover up those mistakes and pretend you know what you’re doing. 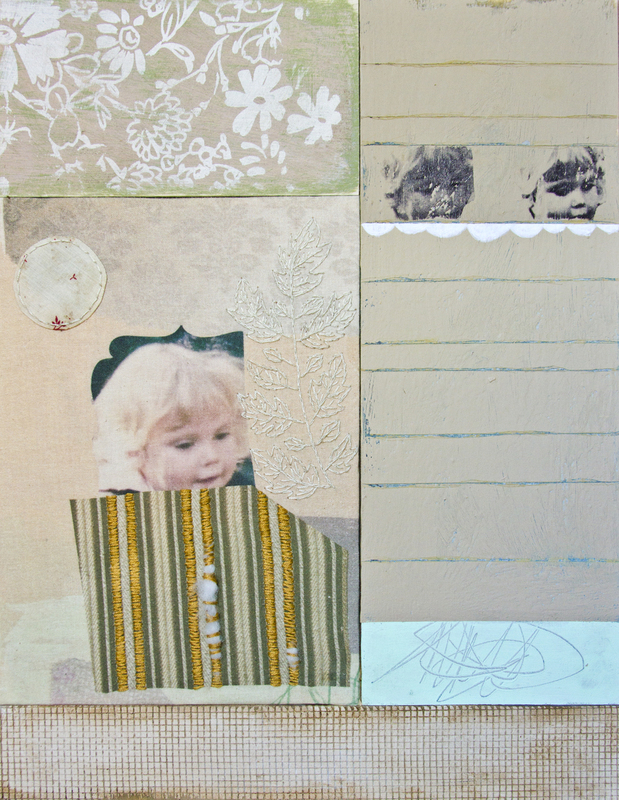 As a mixed media and assemblage artist, I am drawn to combining various media in unique ways. 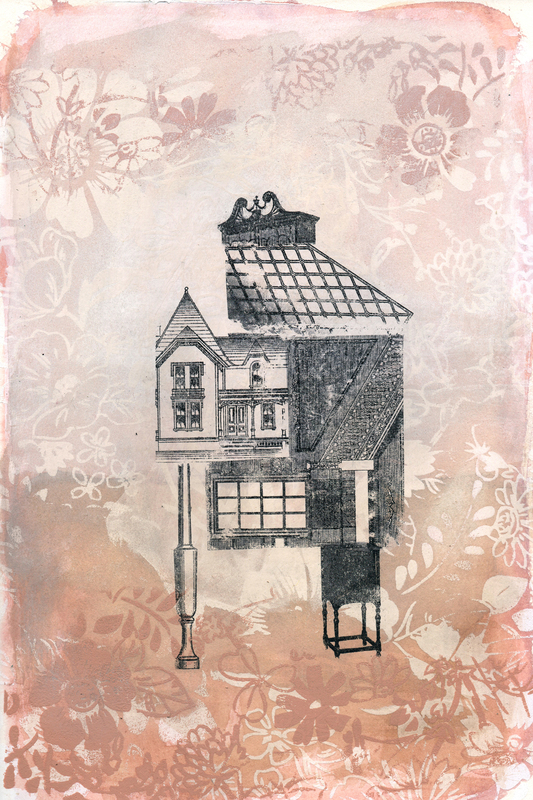 Whether it’s incorporating found objects, printmaking, embroidery – my studio is always stocked with collections of wallpapers, sample containers of house paint, scuffed dollhouses and small furniture. Discarded materials carry a sense of wonder and curiosity with their unnoticed imperfections of scratches, torn edges and peeling layers that seem to leave behind traces of human characteristics, marks that are often taken for granted. By exposing synthetic traces of life’s remains, I like to bring these raw materials into focus by triggering potential memories into tactile displays. Combining unexpected materials creates new relationships throughout my compositions, where the viewer can project their own experiences and history into the work. I continued to embody my illustrative tendencies by lending space for others to fill in a past or future narrative. I find the delicate and ethereal domestic art of embroidery fascinating as it is often associated with docility and obedience. 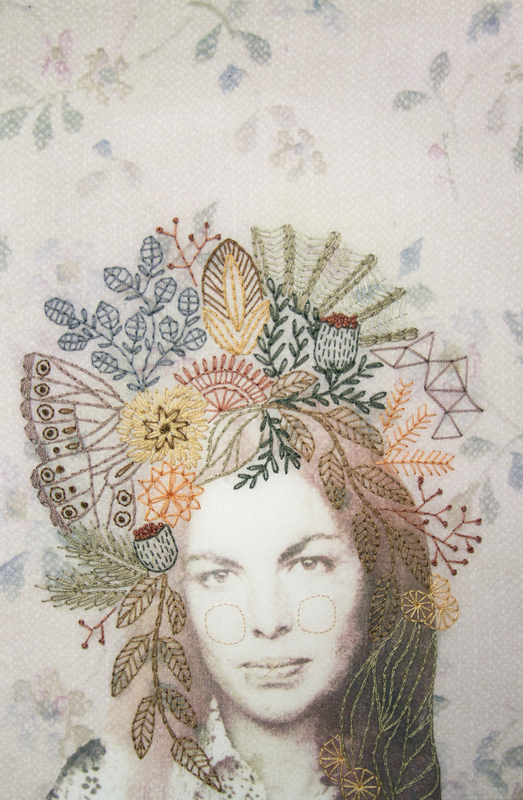 I also incorporate original and found vintage photographs that are transferred, sewn and/or collaged together to create female figures that seemingly disappear into the background, a wallflower of sorts – reminiscent of the ‘hidden mother’ phenomenon of the 1800’s. I find that these fractured portraits, with unknown histories, intensely confront the viewer, igniting thoughts about entrapment. My recent work explores concepts such as the historical constrictions that society set on women in order to reveal a subtle conversation about modern culture, linking one’s identity and the sacrifice of their individualism. Women’s roles were often classified in terms of their relationship to the home and not valued for their own personalities, talents, and endeavors. From 19th century treatments called “rest cure” which required women do nothing active and forbidden of intellectual stimulation, to 20th-century challenges where women struggled between choosing their role as dutiful wife and home dweller or become outcasted from society. This enforced infantilization and constraint can be viewed as an attempt to suppress a women’s own individuality, ultimately becoming the product and prisoner of their reproductive biology. Beyond my Jamaica Plain studio, my work has been featured in local galleries and museums such as Fuller Craft Museum, Bromfield Gallery, Lincoln Arts Project, Nichols House Museum, and the Washington Street Art Center among others. Magazines such as the Creative Quarterly, Create! and Fresh Paint has featured my work and generous reviews have appeared in Artscope Magazine and Boston Hassle. 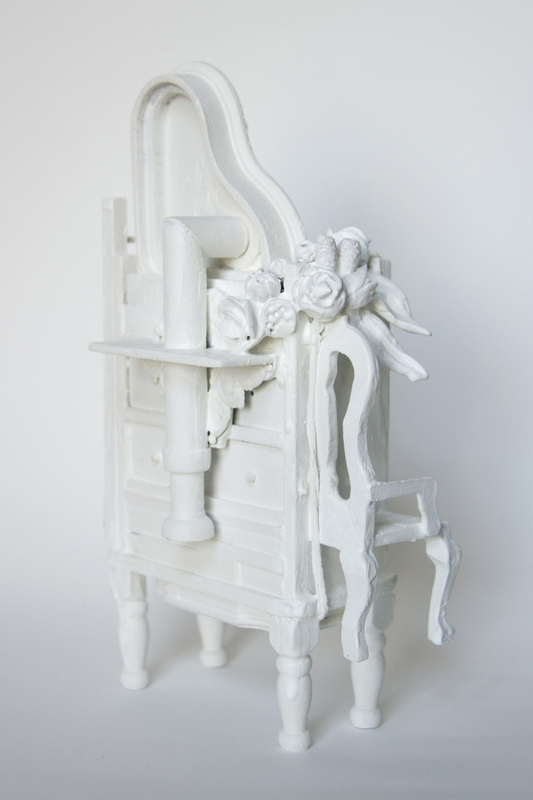 Several of my assemblage pieces were released in a special edition book called “Always Home” published by Fresh Paint. 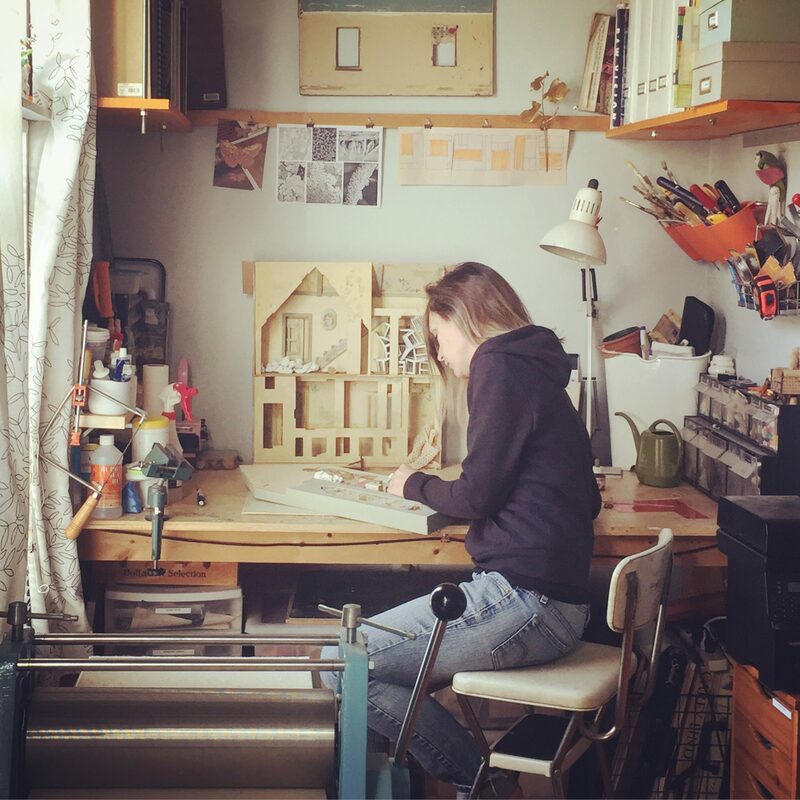 As far back as I can remember, I was pulling books off my shelves to imagine makeshift dollhouses, building forts in the woods, collaging my bedroom walls with images – childhood efforts that I now realize shaped my impulse for intimate interior spaces. I’ve always been surrounded by strong independent women, so when it came time to pursue my creativity, I knew I would find my way. The arts can lead to many unexpected opportunities. I think being open to the possibilities and being creative positions one to make connections that are not always apparent to others.